After a number of consultations, Lewisham Council has issued plans for Mountsfield Park which include a new café seating up to 40 people. The cafe is to be built using recycled containers. Plans also include an upgraded play area and a community garden situated on the old bowling green. 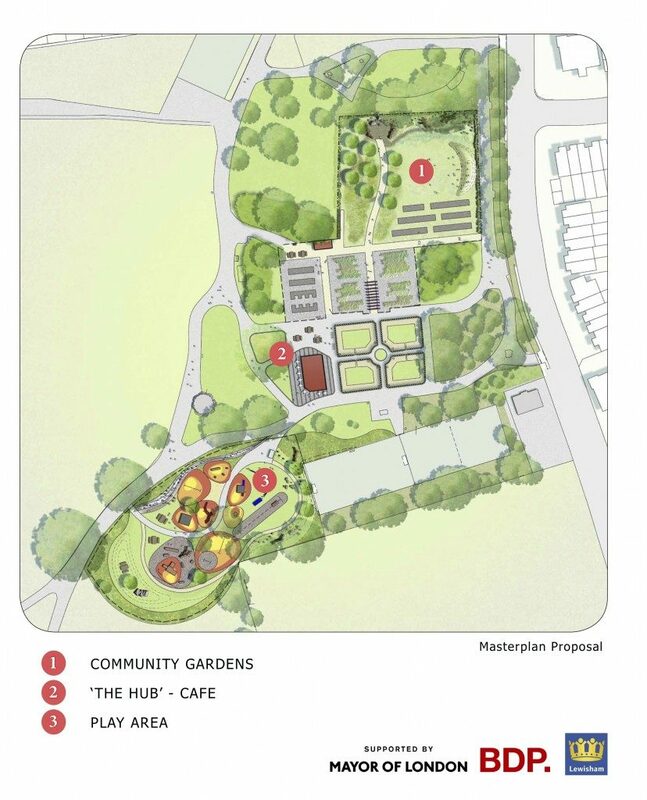 You can see visuals of the Mountsfield Park Cafe proposals here. This document also gives information on how to make comments direct to BDP. You can also visit the Friends of Mountsfield Park website or email sandra.plummer@lewisham.gov.uk. 14th April 2014 in Uncategorised.